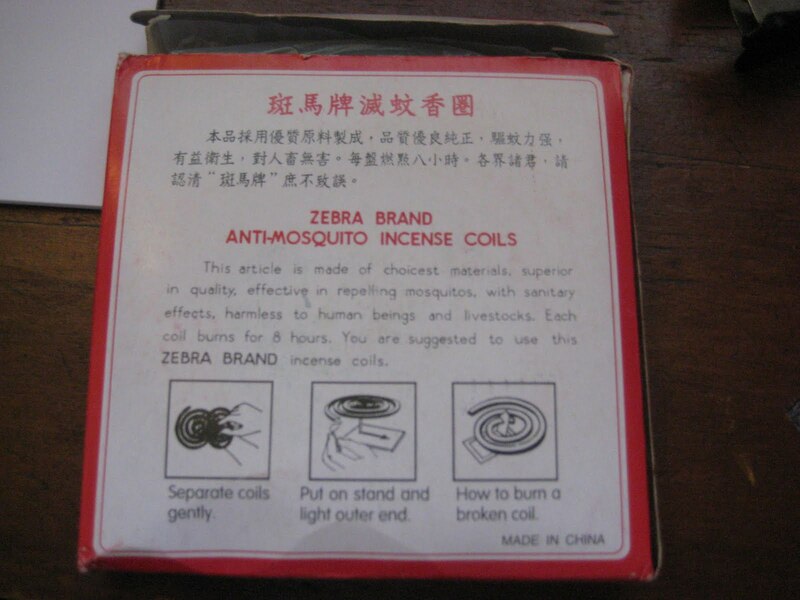 As I lie here on my bed in a mosquito coil haze I can only help but wonder: Can you really trust a product that can’t pay enough to use spelling/grammar check on its labels?Sure I can…or at least that is what I tell myself as I fall into a semi-toxic yet mosquito-free haze. This is not a Belizean product. For those of you who have not seen these things, here is what one looks like. I’ve seen them in Asia…in Thailand and Vietnam they seemed very popular. You light the end on fire and it slowly burns for about 8 hours. Here are the remnants. Take a look at some of the packaging. Environmental protection and fain scent? I’m gonna need to check my dictionary for the word “fain”. 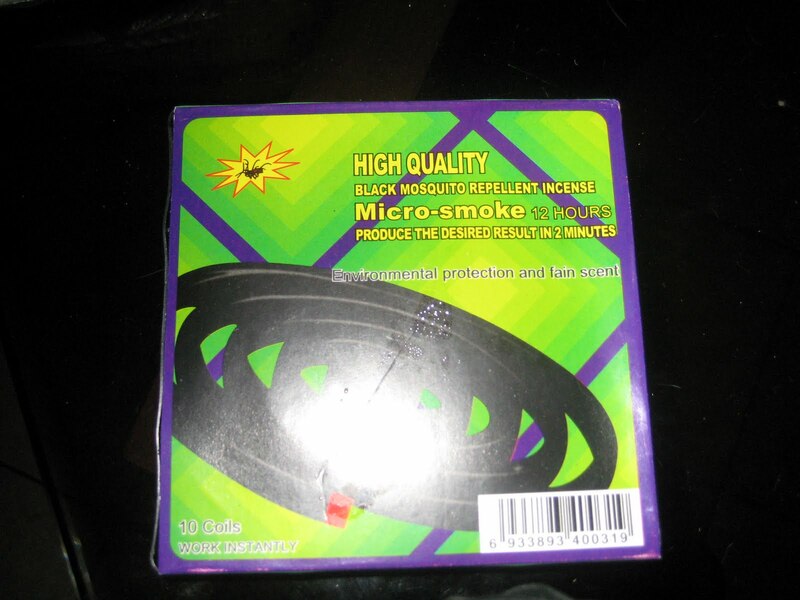 Micro-Smoke? Hmmmm…must be a scientific term. The smoke is sending this zebra into some sort of a frenzy! This must be good stuff! 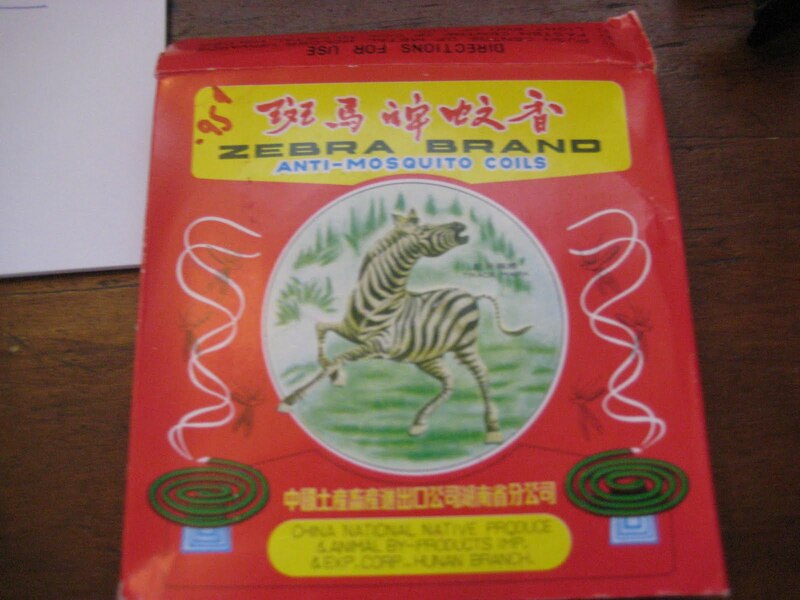 “This article is made of choicest materials, superior in quality, effective in repelling mosquiotos, with sanitary effects, harmless to human beings and livestock….You are suggested to use this ZEBRA BRAND incense coils”. I will! Only 95 cent BZD for 10 coils? I’m a believer. There is a picture of a dead mosquito! This is good stuff. Honestly, I use these almost every night. And I will choose to ignore these little tidbits that I read on Wikipedia this morning. WHATever Wikipedia…stop pushing your agenda. I assume you don’t attach these to or burn them next to the beautiful “Belizean hardwoods”. 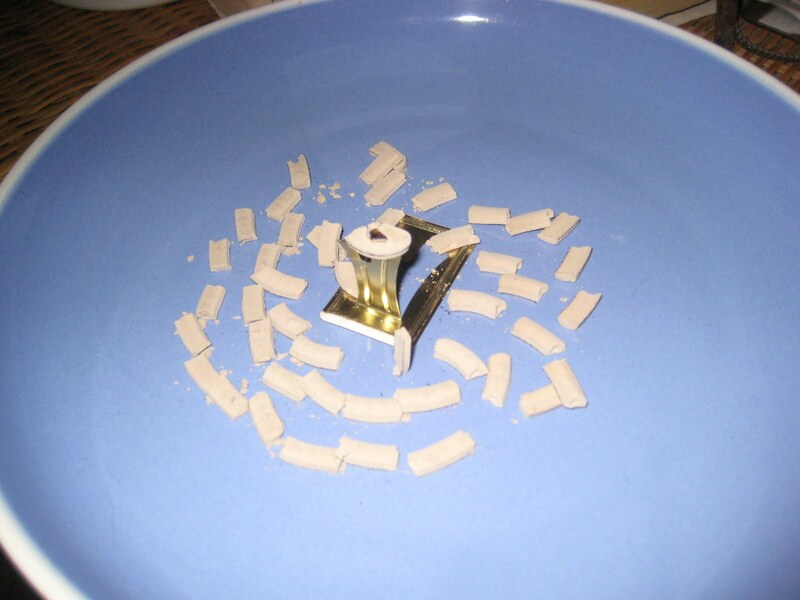 Would also be ill-advised to utilize a plastic plate as an ashtray for the remnants? you can actually find in the Chinese stores in Cayo a little dish that was made specifically to collect the ashes, Chinese design at work. THAT I have never seen…interesting…and useful. i think you’re supposed to burn them in the black plastic tray that IS the packet…. For reals? That makes me feel uncomfortable…lighting one now.